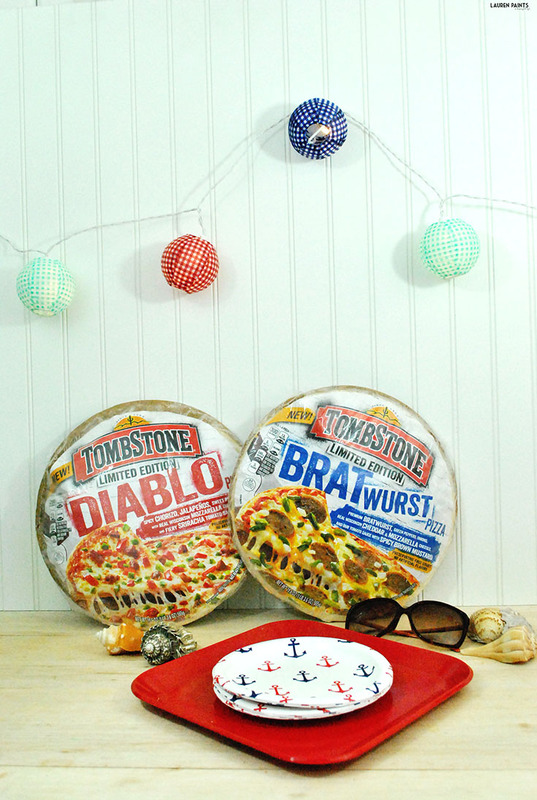 Beach Days and Pizza Nights - Dig Into Something Different with Tombstone! 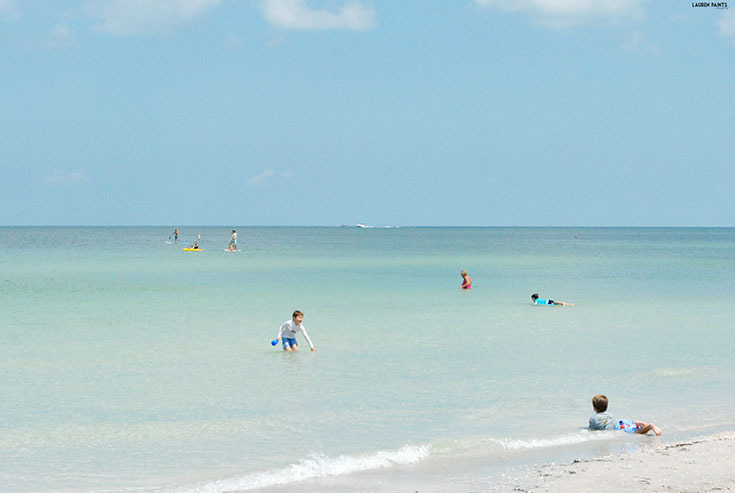 Now that sunny, super warm weather has descended on Florida yet again I'm understandably spending a little bit more time at the beach. It's a beautiful place to reflect on life and it's safe to say that I'm in love with hearing the sound of waves rolling in while I read a book. The days are long and hot but the water is gorgeous and the fun to be had is endless. I will confess, after a day at the beach, the last thing I feel like doing is cooking though. I'm sure you all can relate. That's where these delicious, new, limited edition Tombstone Pizzas come into play. These aren't your typical Italian pizzas, these little babies are full of unique and totally unexpected toppings that will blow your mind and delight your taste buds. 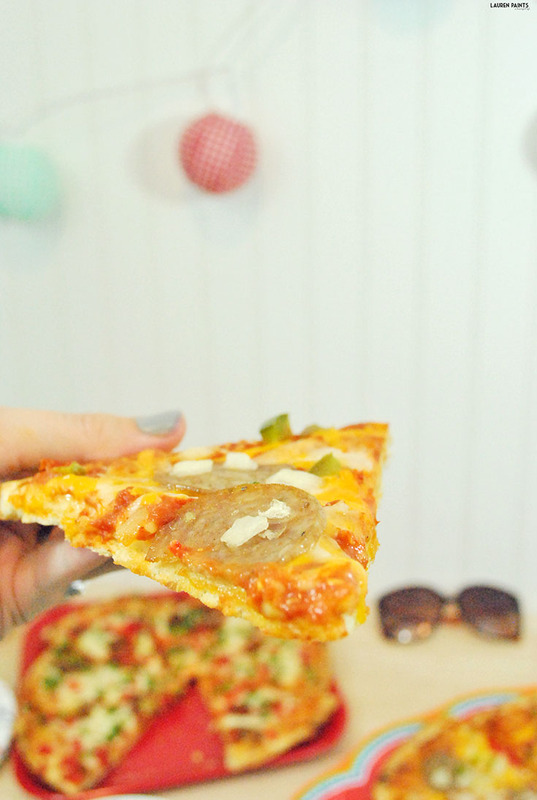 The Bratwurst Pizza is a family favorite after a long day in the sun with premium bratwurst, green peppers, onions, real Wisconsin cheddar & mozzarella cheeses, and a tasty tomato sauce with a spicy brown mustard kick. I like to refer to this pizza as a "picnic pizza"; once you try it, you'll see why! Simply put: it's the definition of summer and the perfect way to quickly get dinner on the table after a long day. The Diablo pizza is my personal favorite with a delicious fiery sriracha tomato sauce that surprised me but delighted my taste buds! The flavorful chorizo, jalapenos, sweet red pepper, and real Wisonson mozzarella cheese are the perfect compliments for this amazingly easy, inexpensive, and delicious dinner. 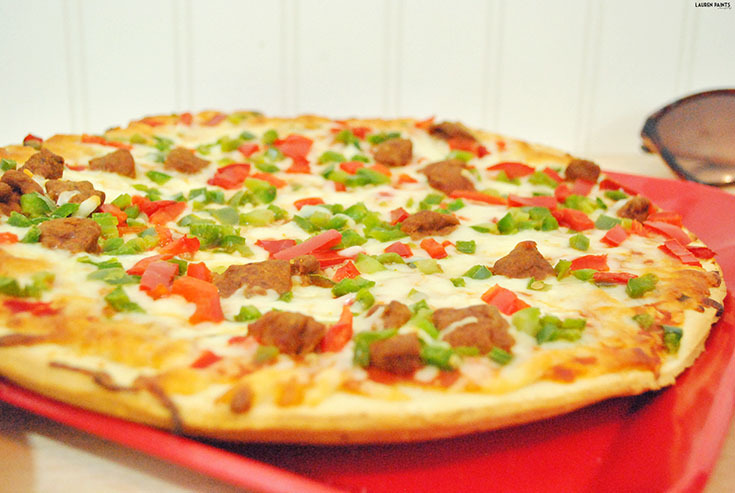 The spice in this pizza is just right and not overwhelming, allowing everyone in your family to enjoy a slice or two! Whether your family is just about to head out on an adventure or just getting home from a day of exploring, pizza is always a family favorite and these surprising pizzas will win your family over right away! 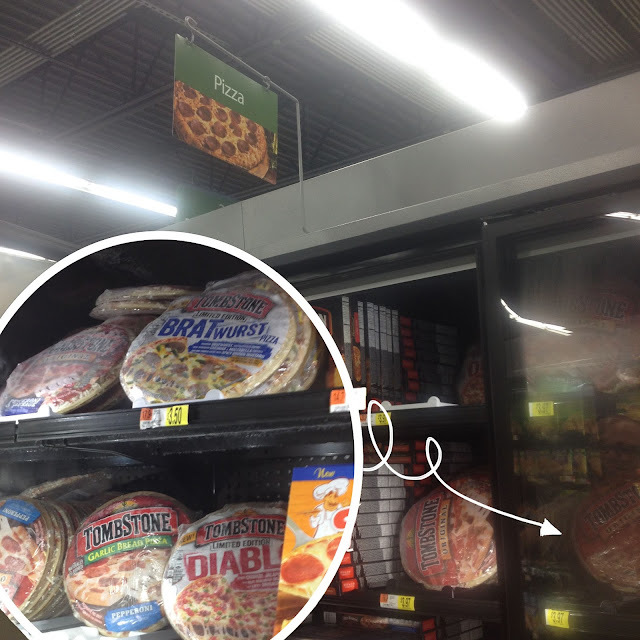 Be sure to grab both of these tasty summer-inspired pizzas next time you are shopping at Walmart! So... tell me, what kind of summer activities do you have planned? 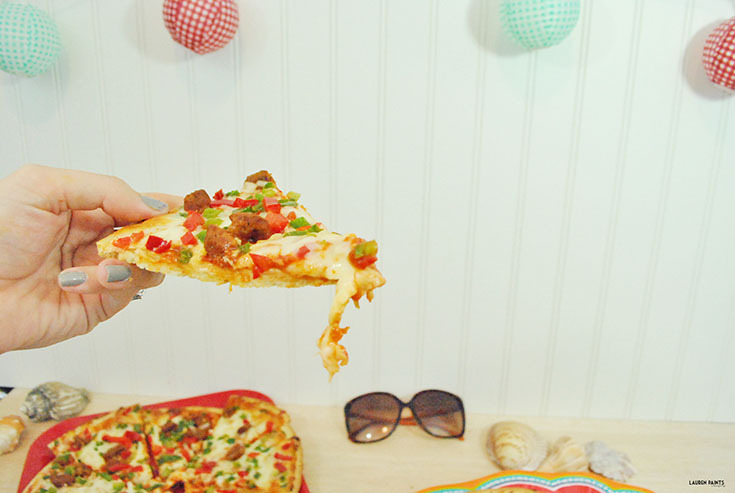 Which pizza do you think your family will enjoy the most? I'd love to hear all about it in the comments below!